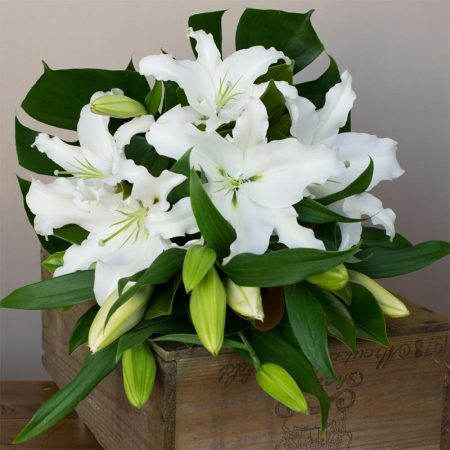 This impressive bouquet of oriental lilies will provide gorgeous perfume and a lasting impression. This is available in beautiful pink or white blooms. To ensure that your flowers arrive unspoiled some closed blooms will be included in your bouquet. A lovely collection of blooms to make the recipients birthday extra special. View our glassware section to add an elegant glass vase for you bouquet.